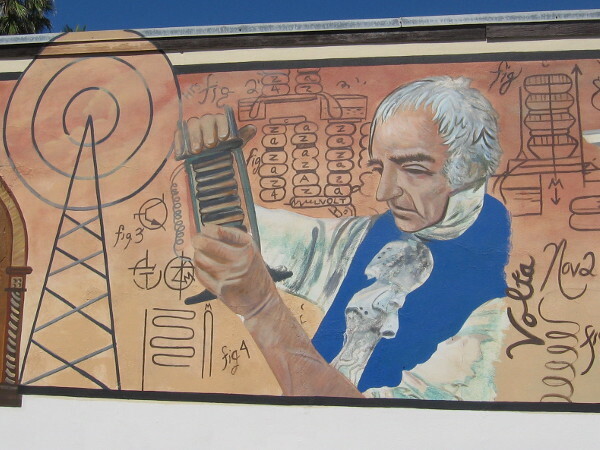 History of Electricity on a cool OB mural! – Cool San Diego Sights! History of Electricity on a cool OB mural! 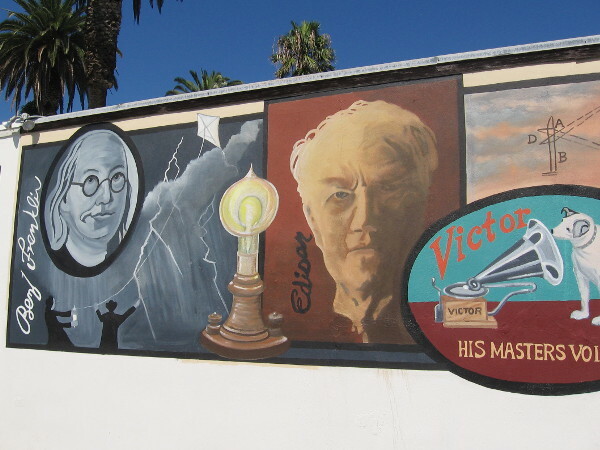 Benjamin Franklin with his famous kite, and Thomas Edison, inventor of the light bulb and phonograph, are depicted on a very unique mural in Ocean Beach. 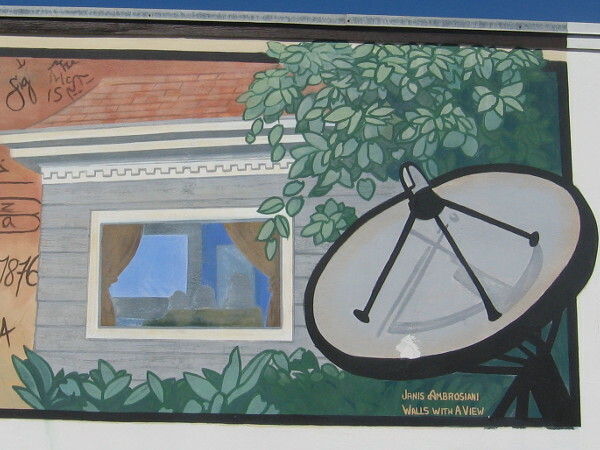 Here’s a cool (and somewhat unusual) mural that I spotted on a wall next to a parking lot in Ocean Beach. It’s called History of Electricity! 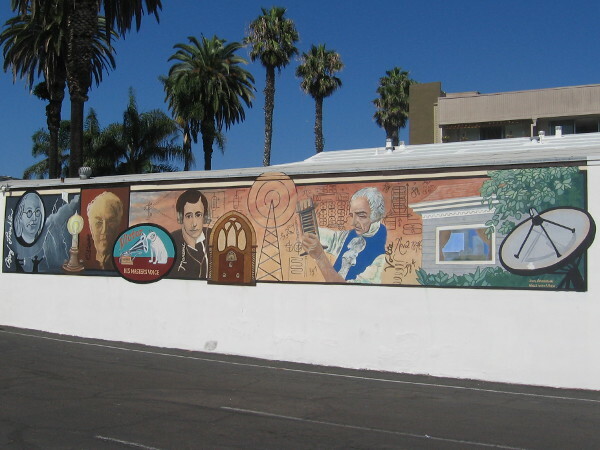 Benjamin Franklin, Thomas Edison, Guglielmo Marconi and Alessandro Volta share the OB streets with images of pop culture icons and surfers! This artwork was created by Janis Ambrosiani of Walls With A View. Take a look! Janis Ambrosiani of Walls With A View painted History of Electricity in Ocean Beach. OB is a cool, laid-back neighborhood with lots of colorful street art. 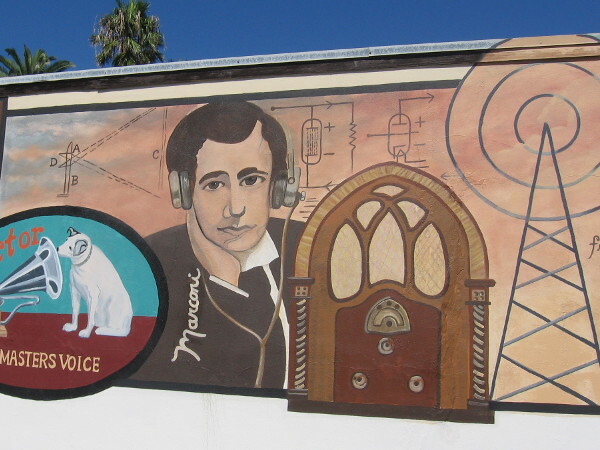 Guglielmo Marconi was instrumental in the development of the radio. Alessandro Volta invented the electrical battery. Electricity has become a modern necessity. Technology is the backbone of our day-to-day living and central feature of 21st century culture. Previous Previous post: Marriott Marquis and a hidden parklike hollow. Next Next post: Photos of a nature walk in Tijuana River Estuary.